Inequalities) financed by the European Commission within the 6th Framework Programme(CIT2CT2004-506245). 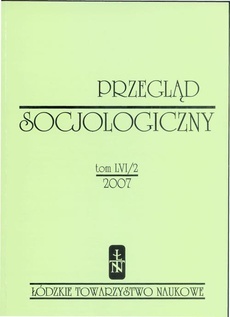 Sociology of the University of Łódź served as the project coordinating institution. mainly by scholars working for the University of Łódź, serving as the project coordinating institutions, summaries of research results obtained in particular countries were elaborated by national research teams. PROFIT research team wishes to thank the European Commission for financing the project and subsequent scientific officers: Virginia Vitorino, Myria Vassiliadou and Marc Goffart for their advice and support.